VOLUMA JUVEDERM is a product of innovative injectable facial fillers made ​​of hyaluronic acid that restores volume to sunken cheeks and firmness to sagging skin of the jawline to create a smooth and natural effect. JUVÉDERM VOLUMA injectable gel is for deep injection in the cheek area to correct age-related volume loss in adults over 21. Restore the fullness of youth. Juvéderm® VOLUMA® with Lidocaine is a sterile, pyrogen-free physiological solution of cross- linked hyaluronic acid (HA) which is not of animal origin. VOLUMA JUVÉDERM is a product of innovative injectable facial fillers made of hyaluronic acid that restores volume to sunken cheeks and firmness to sagging skin of the jawline to create a smooth and natural effect. JUVÉDERM ® VOLUMA also combines with collagen and elastin to improve the structure and elasticity of the skin and give it a smooth appearance. Injectable gel filler used by your cosmetic doctor to refresh your appearance. 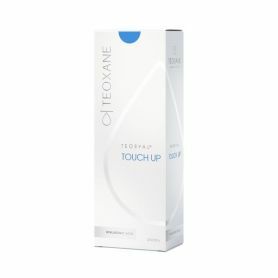 The results are instant, natural-looking and can last up to 18 months. Needle Size: 4 x 27 G1 / 2 (CE 0123). 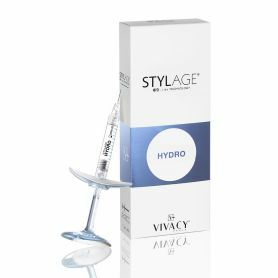 One syringe contains 1 mL of Juvéderm® VOLUMA® with Lidocaine. Each box contains two 1mL Juvéderm® VOLUMA® with Lidocaine syringes, 4 single- use 27G/1/2”sterile needles to be used only for injecting Juvéderm® VOLUMA® with Lidocaine, an instruction leaflet, and a set of labels in order to ensure traceability. With the inclusion of a light local anesthetic, lidocain (0.3%), patients have a greater comfort during treatment and a softer injection experience. JUVÉDERM VOLUMA is indicated for deep (subcutaneous and/or supraperiosteal) injection for cheek augmentation to correct age-related volume deficit in the mid-face in adults over the age of 21. Juvéderm® VOLUMA® with Lidocaine is an injectable implant intended to restore volume of the face. In fact, an important sign of aging (discussed less frequently) is the loss of skin volume in the cheeks.